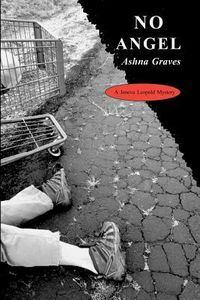 No Angel by Ashna Graves: Synopsis and Online Purchase Options. Synopsis (from the publisher): The murder of a homeless man known as Angel draws journalist Jeneva Leopold into worlds she had no idea existed in her sweet little Oregon town. Two more deaths soon follow. Her search for explanations leads to involvement with a strangely wise homeless woman who feeds cats, a debonair photographer who owns more valuable antiquities than he should, a sculptor with an attitude and a dubious history, an old woman with a deeply painful secret, an assistant police chief who considers Leopold Public Enemy No. 1, a violent street punk known as Quickie, and a girl skater called Pet. Neva's confidence in her own insight and competence are deeply shaken by the outcome.